The first-ever NYC Saastr social went down recently in Work-Bench’s posh new offices in downtown Manhattan, near Union Square. 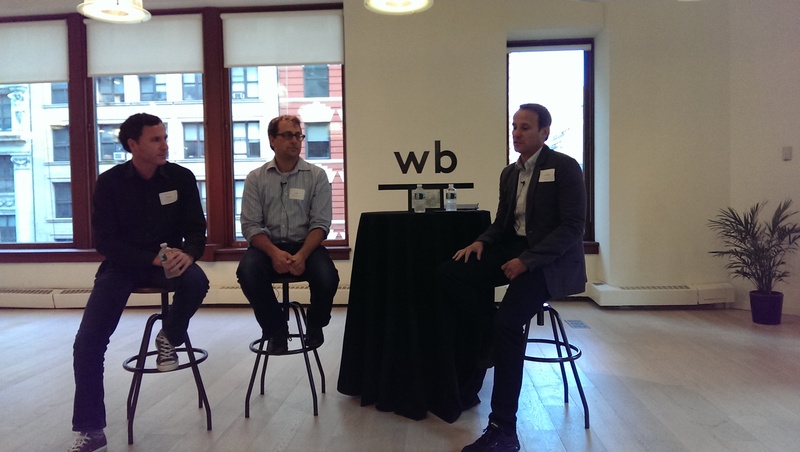 The event focused on an interview between moderator Jason Lemkin, Managing Director at Storm Ventures, and Greenhouse.io co-founders Dan Chait (CEO) and Jon Stross (Chief of Product), about how company owners should hire a great VP of Product. The first two big hires for your company should be the VP of Sales and then VP of Marketing, after which you can focus on hiring a VP of Product. You don’t want to hire a VP of Product too late, as you can potentially miss out on great opportunities for your business. Shoot for before your company is past $2 million in revenue. He/she should enjoy working directly with customers, as it will keep things running smoothly. The best value for your product team is a good collaborative flow, as the members will then be able to work together and trust each other. Having a great hire at the VP of Product position helps keep the engineers in order, and trying to ship new features every week can build confidence in the team. The VP of Product doesn’t necessarily have to be an engineer, but the team of engineers should respect him/her and easily be able to discuss the product. What if you hired a VP of Product and feel like you made a mistake? A bad VP of Product doesn’t have clear priorities, is indecisive, ships features that people don’t want or dislike, and sits idly by rather than actively working to make things happen. When hiring, be sure to be perfectly clear on what you’re looking for, so that everyone can have a shared understanding and clear vision.